Our Salisbury Cosmetic Dentist provides Teeth Whitening! Professional teeth whitening is a non-invasive way of brightening your smile, removing surface stains and whitening your tooth enamel to make your teeth appear healthier and whiter. If you routinely enjoy coffee or tea, or have taken medications known to darken teeth, you may be a candidate for teeth whitening from our Salisbury dental office. Brandon Aron, DMD can advise you on the best whitening treatment and replace any dental restorations, such as old crowns or fillings, to ensure your teeth look seamlessly white. We offer the Opalescence by Ultra Dent take-home whitening system for effective teeth whitening from the comfort of your own home. At-home teeth whitening involves the creation of custom dental trays, designed to fit your teeth, used in conjunction with a carbamide peroxide gel. The whitening agent also contains potassium nitrate and fluoride to whiten the teeth, while protecting them from sensitivity. After wearing the trays for about 30 minutes a day, you can reveal teeth that are anywhere from four to eight shades whiter after the course of your treatment has been completed. 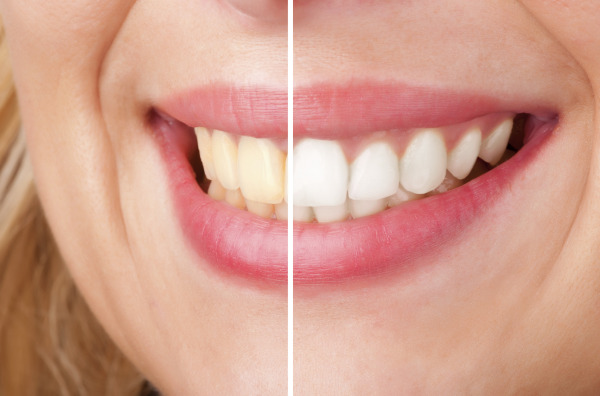 As an added bonus, take-home whitening can be half the cost of in-office bleaching and produce more dramatic results than traditional over-the-counter teeth whitening methods, such as strips or painted-on gels. The custom-made whitening trays from our Salisbury office are also advantageous because they ensure the whitening gel stays on your teeth and does not move to the gums, which can cause uncomfortable sensitivity. Busy patients can see results quickly without having to go through inconvenient dental procedures. Dr. Aron recommends avoiding acidic foods, such as soft drinks and fruits, for one hour after whitening teeth. Patients should also avoid brushing their teeth immediately after whitening, as saliva in your mouth helps to re-mineralize your tooth enamel following whitening. How Do I Begin Teeth Whitening Treatment? Dr. Aron typically likes to begin the whitening process with a cosmetic dentistry consultation at his Salisbury dental office. If you are a new patient, he can conduct an introductory exam to ensure your teeth and gums are in good health. Teeth whitening treatment only lifts stains from natural tooth enamel. Any restorations, such as cavities, fillings, crowns, and veneers are assessed to be sure that your teeth can be whitened effectively. To learn how you can reveal a new, brighter smile, with teeth whitening in Salisbury, contact our office today to schedule your consultation.